This is a free baby Moses coloring page for your kids to color for Sunday school class or children's church. This comes with and without words. 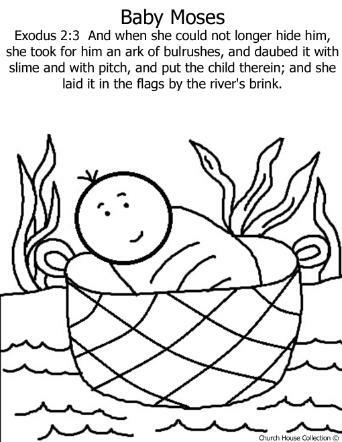 Use this coloring page to along with our matching Baby Moses Sunday School Lesson that we offer.